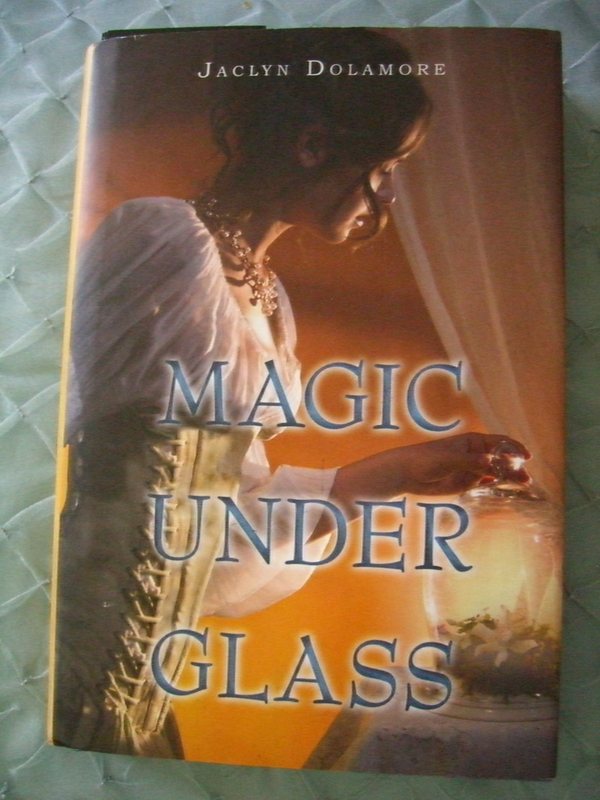 My Secret Santa for the Book Blogger Holiday Swap has been revealed as Mari from MariReads. 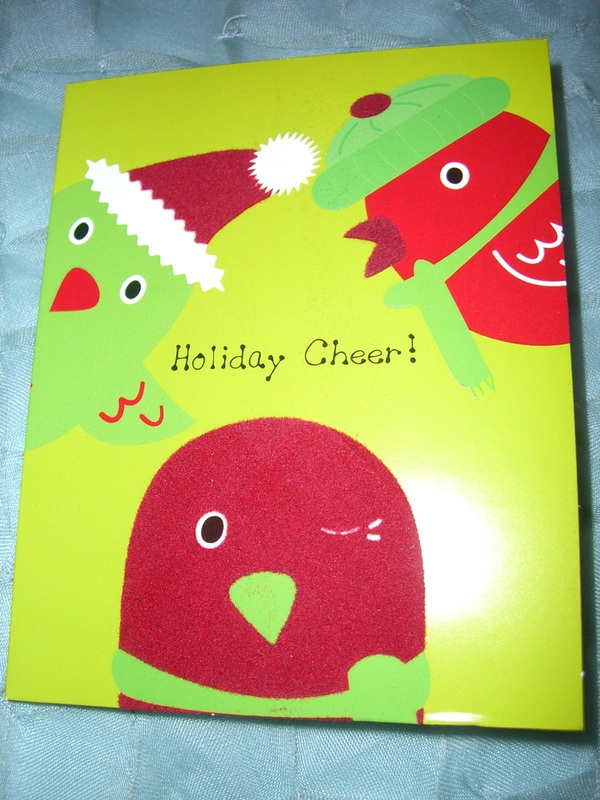 She sent me this cute card after she sent me the package of books. Thanks Mari! On to more awesomeness.. I’ve had a good December in terms of luck, and I won some books I was coveting (I’ll post about those as I review them), but the prize package above from Jaclyn Dolamore far exceeded my expectations. 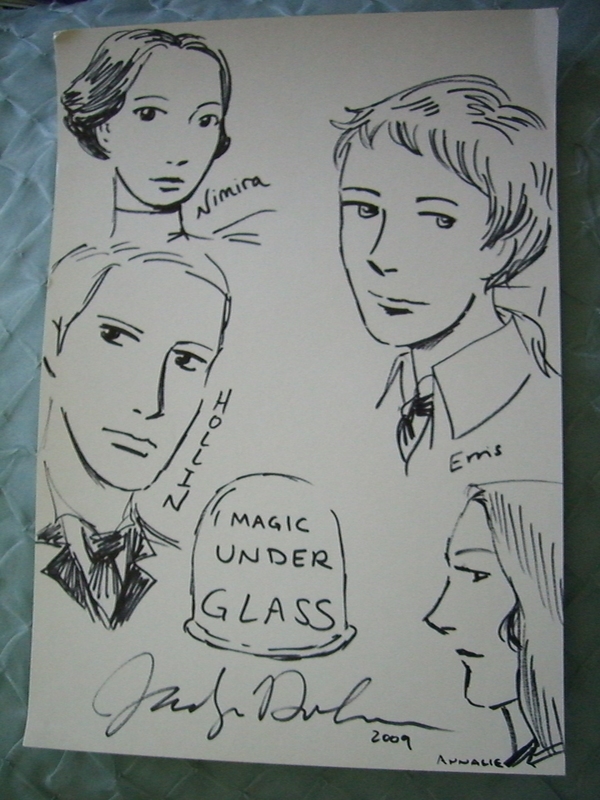 I got a bookplate with the UK cover, and on the other side are character sketches by the author (really nicely done), the book (signed), and signed bookmarks and a mixed CD (which I’m listening to now). Clicking each of the thumbnails above should lead to the pictures. When I first opened this package, my reaction was WOW, this must have taken a lot of work! I’m thrilled. Thank you. 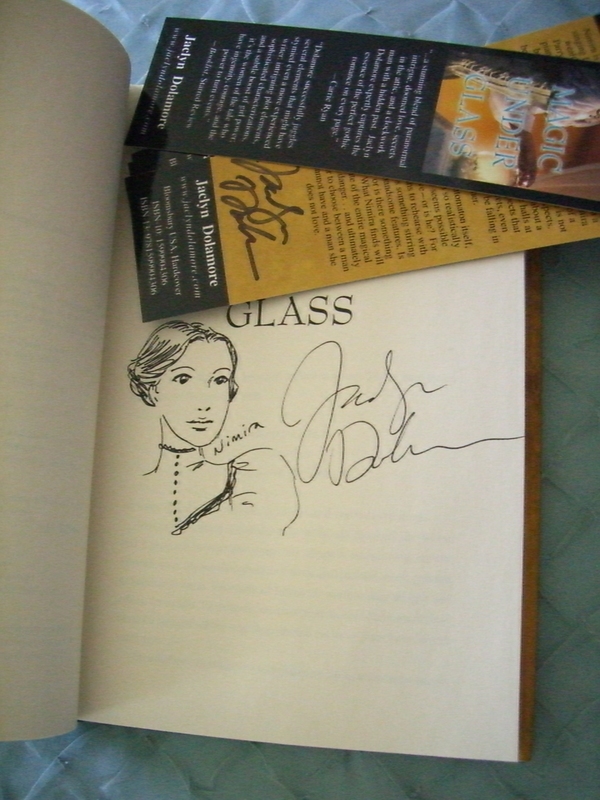 Meanwhile, I got 5 signed bookmarks in the package, and I was wondering if anyone wanted one? I’m keeping 1 and giving away 4. First come first served. Please comment if interested. 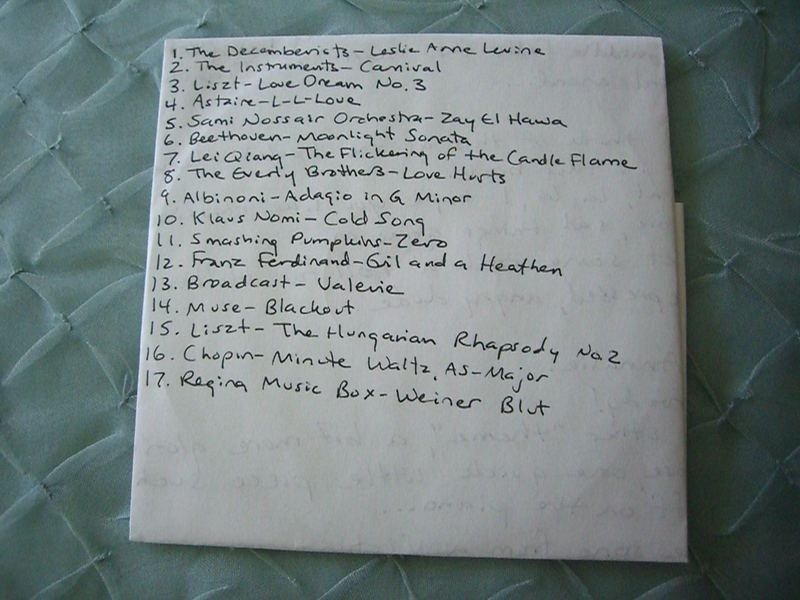 This entry was posted in giveaways, news and tagged jaclyn dolamore by janicu. Bookmark the permalink. Wow, what an amazing price pack! Congrats! I really like the UK cover, I think it gives the book a completely different feel than the US one does. 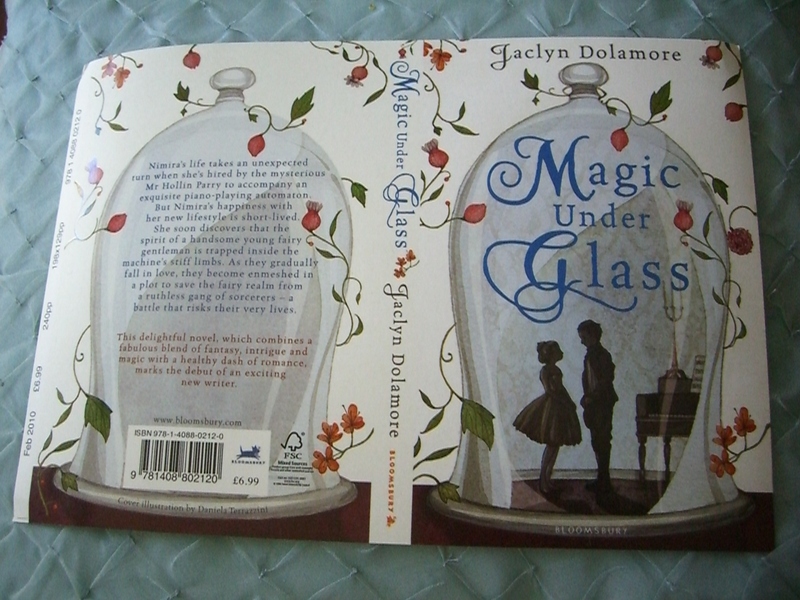 I want the UK Copy of Magic Under Glass for my sister because it looks beautiful. And I Want the Jaclyn Dolamore bookmark for my sister.